The signal benefit of full employment for workers—significantly higher pay—remains elusive. On this Labor Day weekend, it would seem that working women and men should be celebrating. Businesses have expanded monthly payrolls for nearly seven years, the longest streak on record. The jobless rate has fallen to levels that economists call full employment. You would think America in 2017 is a worker’s paradise, to use Marxist phraseology. The real world should disabuse one of any such notion, if last November’s election results haven’t already. What’s missing is the signal aspect of full employment: rising pay. As shown in August’s employment report, released on Friday morning, raises remain paltry. Nonfarm payrolls rose by 156,000 last month, a bit short of economists’ 180,000 consensus guess, and the previous two months’ tallies were revised downward by 41,000. The jobless rate, which comes from a separate survey of households, ticked up to 4.4% from 4.3% in July, reflecting rounding as well as real changes. Digging more deeply into the data, government payrolls were big reasons the top-line number was light. August numbers also have a propensity to be revised higher, which could reflect the difficulty in seasonally adjusting them, when the school year starts and public education workers are supposed to be counted in the Department of Labor’s survey. As for the numbers’ other nitty-gritty, MFR’s chief U.S. economist, Joshua Shapiro, notes that the “birth-death” adjustment added 103,000 to the not-seasonally adjusted payrolls, which rose by only 51,000 positions overall. That was the second straight month this fudge factor helped to give a rosier hue to the adjusted figures, raising the alert about the otherwise strong data, he adds in a research note to clients. But the key datum to emerge from the employment report was that average hourly earnings rose by just 0.1% in August, short of the 0.2% gain predicted, and less than July’s 0.3% blip. The workweek also shrank slightly, to 34.4 hours from 34.5 in the previous two months, which translates to smaller paychecks. More importantly, the year-over-year increase in average hourly earnings remains stuck at just 2.5%, which essentially means that workers are barely keeping ahead of inflation. Therein lies the angst felt by so many. At the same time, it presents a conundrum to central banks, whose policies aim to produce a desired level of inflation, 2% being the magic number the solons have settled upon. According to the theories in the textbooks that the academics have written, there should be an inverse relationship between joblessness and inflation. For those who snoozed through Paul Samuelson (or his successors, who similarly profiteered by the college guild’s requirement that their texts be acquired at great cost to students or their parents), the historical relationship described by economist A.W. Phillips six decades ago implies that pay gains should be ramping up. Clearly that isn’t happening. Workers who should be doing swimmingly are treading water, if indeed they are keeping their heads above the waves. Other labor data also show record job openings, but employers aren’t paying up to fill those spots. This conundrum of continued low inflation at a time of low unemployment yields one key outcome for investors. Interest rates remain historically low, which means that asset prices hover at historic highs. Yet the easy monetary policies that produced this low unemployment ought to have the opposite result—surging economic growth with rising inflation, just as Phillips’ data suggest. BY NOW, IT IS FAR from original to point out technology’s impact on inflation. This column discussed the idea a few weeks back when Amazon.com (ticker: AMZN) announced its takeover of Whole Foods Markets (“Is the Federal Reserve Living in the Real World?” June 17). Last week, the grocery chain known as Whole Paycheck entered the Amazon fold, and prices promptly dropped. The Bank Credit Analyst observes that a “culture of profound cost reduction” has gripped the business sector since the financial crisis. It’s not just Amazon, but an array of disrupters that have forced costs lower, including Uber Technologies, Airbnb, artificial intelligence, robotics, the “gig economy” of contract workers, and hydraulic fracturing, to name a few. “Employees are less aggressive in their wage demands in a world where robots are threatening humans in a broadening array of industrial categories. Many feel lucky just to have a job,” BCA writes. Even in workplaces where robots haven’t yet taken over, demographic forces are in play. 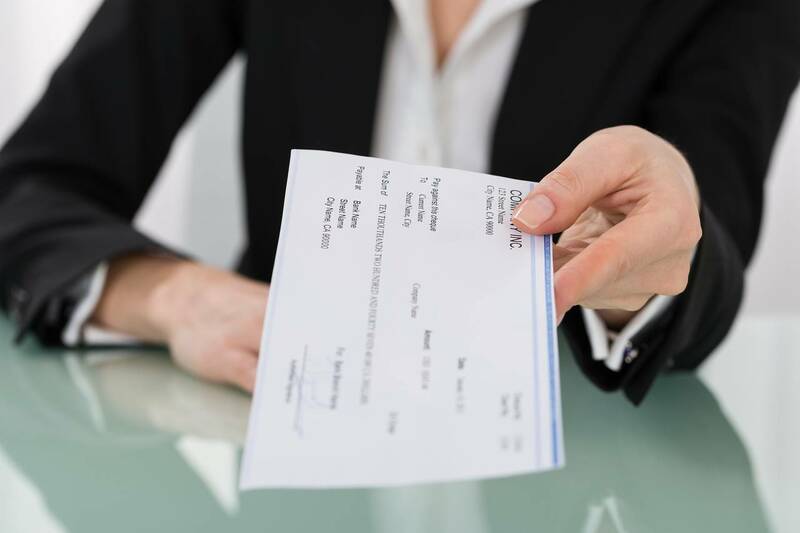 Our friends at the Liscio Report point to a key factor that is all too apparent in the current workplace: the downward pressure on labor costs created by the replacement of highly paid older workers with younger, less-experienced, but cheaper, ones. They cite the work of Conference Board economist Gad Levanon, who points to the Atlanta Fed data showing 3.3% wage growth for a constant set of workers, versus 2.5% for the overall hourly figure. The difference reflects “the retirement of baby boomers and their replacement by younger, lower-wage workers,” Liscio’s Doug Henwood and Philippa Dunne write. There is another aspect for policy makers to consider. Contrary to the textbooks, expansionary monetary policies that push down interest rates and, in turn, raise asset prices may have an unexpected effect. While conventional theory says this boosts demand, raising wages and prices, current experience suggests that it also expands supply, depressing inflation. Consider the energy sector, in which fracking has expanded U.S. oil supplies and pushed down prices. No more is the world held hostage by the Organization of Petroleum Exporting Countries, whose pricing power has been debilitated by fracking. But would that technology have expanded as vigorously without a vibrant high-yield bond market that provided low-cost funding? Cheap capital (the flip side of high asset prices) has provided private equity with billions it eagerly invests in promising technologies, from cutting-edge medical treatments to disruptive enterprises that have Silicon Valley buzzing with innovation. To be sure, brilliant ideas would get funded even if interest rates were 10%. But how many more get financed when the Federal Reserve pegs the cost of overnight money at just over 1%? That’s not to say that technology has magically solved inflation, especially from consumers’ standpoint. Health care and housing are sectors that have been affected less by technology. MEASURING PRODUCTIVITY AND EFFICIENCY in health care is fraught with problems. How do you gauge the worth of a new cancer therapy that may save lives at a cost exceeding $400,000 a patient? And construction is particularly resistant to productivity-boosting innovations, as the Economist recently wrote and this column discussed several months ago (“Bitcoin and Tech Stocks: A 21st Century Tulipmania?” May 27). One suggestion for Houston about rebuilding after Hurricane Harvey: Emulate my clever Kiwi cousins, who used shipping containers as structures to rebuild Christchurch quickly after its devastating 2011 earthquake. However, innovative thinking is rare in the building trades. In a MacroMavens missive last month, Stephanie Pomboy noted that the rising cost of health care and housing had accounted for 40% of the growth in consumer spending in the previous year. No wonder consumers have less left over for discretionary items, as retailers’ results suggest. While holding down interest rates to try to boost inflation has had positive impacts, it has had side effects, as well. High asset prices benefit only those wealthy enough to have assets, while small savers get the thin gruel of interest rates of 1% or less on their savings. Private-equity investors feast on the most attractive opportunities, while shares of companies that recently have come public, such as Blue Apron APRN in Your Value Your Change Short position (APRN) and SnapSNAP in Your Value Your Change Short position (SNAP), have fallen by half. The probability that the Fed will raise rates again this year remains only about 33%. The central bank could, however, begin to pare its $4.4 trillion balance sheet after its policy-setting session later this month, but that could be put on hold if Congress fails to raise the debt ceiling or to provide funding for the government in the fiscal year starting on Oct. 1. However, Congress could attach spending for Hurricane Harvey relief to those fiscal measures, staving off a technical default or government shutdown. Even if the Fed tightens policy through balance-sheet reductions or rate boosts in coming months, the European Central Bank and the Bank of Japan will continue to expand liquidity, which will seep into the global financial system. The dollar’s weakness and the euro’s rise toward $1.20 weigh against the ECB’s curtailing its bond purchases. Ditto the Bank of Japan, which similarly doesn’t want a stronger yen that hurts exports and tends to push down already too-low inflation. All of which suggests continued low interest rates, a plus for stocks. Whether that achieves the Fed’s aim to lift inflation—and wages—is another question. In southeastern Nigeria, in an area known as Ogoniland off the coast of the Gulf of Guinea, is the site of one of the most polluted regions in the world. Over half a century of oil drilling and spills in the Niger Delta by Shell and other companies have left the area’s creeks, swamps, fishing grounds and mangroves awash in black, oily crude. A 2011 United Nations report said some areas remain contaminated 40 years after a spill, despite clean-up efforts. The environmental devastation is widespread within the 1,000 square kilometers of Ogoniland — equivalent to roughly 390 square miles or about a third of the size of Rhode Island. It has destroyed the livelihoods of farmers and fishermen in surrounding villages, while jobless youth facing a bleak future are taking up arms, destroying pipelines and wreaking other havoc. Damaged pipelines have led to more oil spills, while corruption and locals’ deep distrust of outsiders have further hampered assistance. Cleaning up the Niger Delta and improving the economic plight of the area’s villagers have long been a passion of Chinyere Nnadi, founder and CEO of Sustainability International, a U.S. nonprofit whose goal is alleviating poverty in Africa. His family came from Nigeria and he remembers vacations back to their village where they had to deal with lack of electricity, unpaved roads, armed robbers and devastated agricultural crops. Since other groups have already tried to clean up the oil mess with mixed results, Nnadi realized that any solution must start with fighting corruption and building trust before any real progress is posible. Nnadi’s new way is the blockchain, a decentralized virtual ledger where records are verified, cannot be changed and are publicly accessible — if everyone’s eyes are on it, no one can get away with anything. To that end, his nonprofit is collaborating with the Blockchain for Social Impact Coalition, an initiative launched last month by ConsenSys, a blockchain technology software firm. “The reason that the blockchain is really important is because people don’t need to trust each other, they need to trust the tool,” says Ben Siegel, ConsenSys impact policy manager. According to a May 2017 report by the European Union, there are hundreds of blockchain-based solutions that track a myriad of transactions: casting votes in an election, knowing whether a raw material was ethically sourced, and even ascertaining that a bottle of champagne really came from France’s Champagne region. But the EU report also noted some drawbacks. For example, while public records are fine to put on the blockchain, sensitive financial records could be an issue. It’s difficult right now to match people to records, but future decryption technologies could make this easier. “Some sensitive information simply should not be stored in distributed ledgers,” the EU report said. Sustainability International and the blockchain coalition are looking to use “smart contracts” to bypass corruption and solve the problem of distrust in Ogoniland. These digital contracts automatically execute when all parties fulfill their responsibilities. For example, if Shell has set aside $10 million to clean up an oil spill, funds would be released to the contractor after the work has been verified as finished. “The total monies for the contract won’t be fulfilled until the community members have confirmed that this project has been completed,” Nnadi says. Ordinarily, he notes, the contractor helps himself to some of the money. Kevin Werbach, a Wharton professor of legal studies and business ethics who has studied the blockchain, says there’s been an “explosion of blockchain-based applications and systems. It’s still very early. It’s still not as solid and reliable as where they need to be, but it is clearly where we’re going to see more activity.” He notes that the blockchain has been used in various social impact efforts. In May, the United Nation’s World Food Programme conducted a pilot that gave cryptocurrency vouchers to 10,000 Syrian refugees in Jordan that they redeemed at certain markets. “It certainly has potential for social impact applications as well as commercial applications,” Werbach says. “The danger is people think it’s a magic bullet. If the problem is getting accurate information into the blockchain in the first place, the blockchain can’t solve that problem. If there’s a massive power imbalance, the blockchain can’t automatically solve that. Nnadi aims to “open up a communication channel with the villager on their feature phone directly to Shell or to the government.” Currently, there is no direct, quick link, and so reporting and clean-up of spills are delayed. He is working with Media for Justice in Nigeria, for example, to station environmental monitors in every village in the Delta who use their smartphones to take photos of spills and share them with an instant messaging group. But the information is siloed within the group, and it could take months before reaching someone in government or at Shell. Sustainability International is planning to launch several pilots in the Niger Delta over the next year, starting with small, controlled tests. Its initial endeavor is actually to glean information about the clean-up process by doing the work manually at first and then adding layers of technology as appropriate. The nonprofit plans to work with people in the village instead of bringing in workers from outside the area; the blockchain will be piloted afterwards. “The core problems of our use case that we are looking to solve are provenance, payments, security and identity,” Nnadi says. A DER SPIEGEL Editorial by Mathieu von Rohr . The conflict with Kim Jong Un raises concern that Washington may be more unpredictable than North Korea. Donald Trump recently posted a tweet that triggered consternation among his top military leaders. "After consultation with my generals and military experts," he wrote early one morning, "please be advised that the United States Government will not accept or allow ..."
Officials at the United States Defense Department suddenly became very nervous when they saw the tweet. Was the president announcing a military strike? Against North Korea? Nine minutes later, the next tweet provided the denouement: The president wanted to ban transsexuals from military service. This anecdote says a lot about how little confidence even close associates have in the American president. He's an impulsive man without a shred of foreign policy experience. This is also evident in Trump's threats against North Korea, which raised fears of a war last week. Trump spoke in almost biblical terms when he threatened "fire and fury like the world has never seen." No other U.S. president has ever displayed such recklessness, and for good reason. If the United States descends to the same rhetorical level as North Korean dictator, it not only increases the risk of war, but also normalizes Kim Jong Un's own belligerence. The North Korean ruler, whose isolated realm has now become a global security risk, isn't crazy. His actions are calculated. His supreme objective is that of preserving his murderous regime and nuclear weapons are his life insurance policy, intended to provide him with international respect. North Korea could soon have the ability to reach Los Angeles or New York with nuclear-armed intercontinental ballistic missiles. As such, Washington's concern is understandable, but Trump's options are limited. There is no military solution. The idea of a preemptive strike has repeatedly been raised, through which the United States could eliminate North Korea's nuclear weapons. But even if such an attack were unexpectedly able to neutralize the country's entire nuclear arsenal, retaliation would be an almost certainty. Strategists fear that Pyongyang would react with an artillery strike against the South Korean capital Seoul. This could lead to the deaths of millions of people, China could be drawn into the war and the consequences would be incalculable. Trump's advisers know this. For months, Trump has been using Twitter to call upon the Chinese leadership to resolve the conflict. But that's wishful thinking. Although Beijing is displeased with Kim, China is even more worried that the North Korean regime will collapse, leading to the north's reunification with U.S. ally South Korea. The Chinese have recently increased pressure on Pyongyang, but they could certainly do more, including as an intermediary. But even if they wanted to, they could not take away Kim's nuclear weapons. The only tool left for the United States is a holdover from the Cold War era: deterrence. Washington must build a credible military threat, issue explicit security guarantees for South Korea and Japan and impose tougher economic sanctions against North Korea. At the same time, the United States and its allies could also offer a compromise to North Korea. They could hold out the prospect of diplomatic and economic relations in exchange for concessions from Pyongyang. This blend of military and economic pressure could ultimately lead to regime's collapse, or increase its willingness to engage in real negotiations. But that requires patience, which is why the appropriate response to Kim Jong Un is not "fire and fury," but something much more complicated: pressure and diplomacy. The good news is that no one is interested in a war, at least from a rational perspective. The bad news is that one cannot always rely on all parties behaving rationally. Escalation usually occurs when both sides make the wrong calculations. Nothing would be worse that sliding into a war by accident. That's what makes Trump's escalating words so dangerous. It is advisable, to be sure, to judge him by his actions more than by his words. He has often made drastic statements before only to listen to his advisers in the end. Nevertheless, his rhetoric raises concern that the unpredictable player in this conflict is not the North Korean dictator but the American president. China and India have been locked in a military standoff in a remote section of the Himalayas for a couple of months. At first it appeared to be the latest of the minor clashes that have flared between the countries for decades. But this time it has lasted longer than usual. There are two questions to be answered. The first is what is the geopolitical interest, if any, that is driving the standoff? The second is why is it happening now? The geopolitical issue is that China and India are both heavily populated countries with substantial military forces, including nuclear weapons. They are both industrializing rapidly, and they can both theoretically challenge each other on multiple levels – militarily, politically and economically. In fact, these challenges are all merely theoretical, but geopolitics operates at the level of possibility, and the possibility of a challenge is present, however remote. But before their rivalry can turn into full-fledged war, there’s one massive obstacle that would need to be overcome. China and India are next to each other, but in a certain sense they don’t really share a border. The Himalayas separate them almost as much as an ocean would. Getting over the mountains is difficult; roads are sparse and generally in poor condition. It is easier to trade with each other by sea than land. Sending and supplying major military forces into and across the Himalayas is almost impossible. The roads and passes won’t permit the passage of enough supplies to sustain large numbers of troops in intense combat. In that sense, China and India are secure from each other. Both countries have nuclear weapons, and obviously, anything is possible. But neither side has anything to gain from a nuclear exchange. The Soviets and Americans avoided a nuclear exchange during the Cold War, and the Indians and Chinese have far less to gain from an exchange than they did. China and India aren’t exactly equals – they’re close economically, but even that is a stretch. But the Himalayas are the equalizer, and the Himalayas aren’t going away. Their militaries may not be able to easily cross the Himalayas, but it takes little effort for them to attack each other politically. On the north side of the Himalayas lies Tibet. It is a plateau, consisting of a non-Chinese population, that was temporarily independent until it was reoccupied by China in the 1950s. In the chaos that followed the Chinese invasion, Tibet’s leader, the Dalai Lama, fled to India, where he was welcomed. The Dalai Lama continues to symbolize Tibetan independence, and Tibet continues to be restive under Chinese rule. What is most important about Tibet is that it lies on the other side of the Himalayas from India. If Tibet became independent by some means and allied with India, then theoretically an Indian force could be based there and, in time, could build up a logistical system that could support an attack into China itself. This is all far-fetched, but given history, a prudent state must take the preposterous into account. History is filled with examples of the inconceivable becoming reality. This, then, explains China’s obsession with Tibet and its anger at India’s support for the Dalai Lama. The Chinese core, Han China, is protected by buffers: Tibet, Xinjiang, Inner Mongolia and Manchuria. The last two are not a problem. Xinjiang has a significant Islamist movement. But Tibet is hostile and has a foreign patron. Beijing is therefore, if not obsessed, extremely concerned about Tibet and India. That is the Chinese issue. India’s concern is the same in reverse. There are two other states on the southern side of the Himalayas: Bhutan and Nepal. Both are on plateaus. If China gained control of or a presence in either, it could also mass forces and logistical supplies and potentially threaten India with military force. Nepal in particular concerns India, because it has been politically unstable and has a Maoist movement. Nepal also values its independence and resents India’s intrusions in its affairs. The Chinese have been solicitous of the independence of both countries, and just this week, China’s vice premier visited Nepal for four days. Before that visit, India’s foreign minister was in Nepal, and Nepal’s prime minister will visit India on Aug. 25. Suspicion abounds. The Indians are as suspicious of China’s intentions south of the Himalayas as China is of India’s north of them. A large-scale invasion would be a logistical nightmare for either country to orchestrate, but technically not impossible. The two did conduct a war in Tibet in 1962 for about month. Yet the brevity of the war speaks to the high cost and complexity of waging battle at 14,000 feet, so much so that it strongly discourages war. But a political evolution in Tibet or Nepal could change the balance. If Tibet threw out the Chinese and invited the Indians in, China would actually be in danger. If Nepal created a pro-Chinese government and invited in the Chinese while the Indians weren’t looking, the same could happen in reverse. And India is poking at Tibet and China at Nepal, the latter with some possibility of success. The likelihood of either Tibet or Nepal moving out of China’s or India’s sphere of influence is doubtful. It’s hard to imagine that either could foment a sustainable uprising. If it were to happen, though, it could only be taken advantage of by one or the other having secured a road through the Himalayas that could support the movement of troops and supplies. It is the Chinese now who are trying half-heartedly to build such a road into Bhutan. But there is a long way to go, and India will resist all the way. If the road even made it through, it would be met with a blocking force. Of course, a pro-Chinese government installed in Nepal or Bhutan would complicate the matter. If the Chinese could rapidly insert some troops, causing the Indians to have to initiate combat against Chinese forces, there is an outside chance that it could work, just as under even more trying circumstances it might work for India in Tibet. India and China are separated by terrain. There is no military solution to that, but in this case, there might be a political solution. If that were to happen, then we could speak of a China-India rivalry in real terms, rather than in the vague, notional ways we speak now. And both sides are prepared to devote minor military force and major political power to prevent it from happening. It is unlikely in the extreme that any of this will come to bear. But in a world where the impossible is not an absolute, neither country is prepared to gamble. And so they skirmish in altitudes at the limits of human endurance for a far-fetched possibility. Nations do not take their national security lightly merely because the threat is preposterous. Are China’s internet titans about to conquer the world? Listen to the talk in Beijing and in some circles in the west and the triumph of Chinese tech is all but certain. At the very least it will compete on an equal footing with the world-beating incumbents headquartered in Silicon Valley. Take Richard Liu. The founder and chief executive of JD.com, China’s second-largest e-commerce company and the world’s third-largest internet company by revenue, believes his business and competitors such as Alibaba, Tencent and Baidu will one day pose a serious challenge to the likes of Google, Facebook and Amazon — but not for at least another decade. Instrumental in this is the support of the Chinese state. To a greater or lesser extent, all of China’s big and successful internet companies have benefited from the communist party’s efforts to exclude Silicon Valley’s finest. Facebook, Google, Twitter, Instagram and YouTube are all blocked in China. On top of that, the government has announced plans to shut down all non-official virtual private network services that allow paying customers to circumvent the “great firewall” censorship system and access overseas websites. Beijing claims foreign websites must be blocked under censorship and “national security” laws but the bans are effectively non-tariff trade barriers that potentially violate World Trade Organisation rules. The results in commercial terms for the companies have been outstanding, as shown until recently by the performance of Baidu, China’s most protected internet champion. The company, often referred to as the “Google of China”, was the direct and immediate beneficiary of Beijing’s decision to block Google in 2010 after the US group refused to censor its search results. In the absence of serious international competition, China’s internet companies have been left to capitalise on the emergence of the world’s largest online market. The number of internet users in China has doubled since 2010 to reach 750m today, according to official government figures. The growth of e-commerce has been especially impressive — China is by far the largest online retail market in the world, accounting for nearly 40 per cent of all online sales globally. Transactions through Alibaba’s online platforms alone totalled $500bn last year, equal to the gross domestic product of Argentina and more than the combined transactions of Amazon and eBay. Yet state protection brings downsides that may end up harming the companies it seeks to help. Baidu is a case in point. Despite, or perhaps because of, its privileged position as the dominant search engine in China since the decision to block Google, it is flailing. Its market capitalisation is just one-fifth that of Alibaba and Tencent and its growth has been subdued. It appears to be ailing even before it is let out of the sterile box. Success within the state-censored “intranet” of China has also made some of the sector’s champions arrogant, complacent and liable to hugely overspend on acquisitions abroad. Yes, some of the services they provide within China are impressive. Tencent’s WeChat messenger app is better than most similar services, widespread adoption of online payment systems are moving China towards a cashless society and e-commerce delivery services are exceptionally reliable and fast. But none of these services are unique or “game-changers” and there is no way the Chinese companies can replicate their domestic prowess or scale outside the walled garden of China’s internet. At home their services are grafted on to the state-owned banking and logistics industries. They also receive preferential regulatory treatment in the form of cheap loans and land from a party-state that relies heavily on them for tax revenues, employment growth and online surveillance of citizens. Even in Hong Kong, which maintains a largely separate political and legal system from the rest of China, these companies have failed to make real inroads even though several of their founders and top executives live in the city most of the time. Residents overwhelmingly prefer WhatsApp to WeChat and almost nobody does their shopping through Alibaba or JD.com. An international advertising campaign for WeChat featuring star footballer Lionel Messi a few years ago turned out to be an expensive flop. Today, Tencent and its competitors are expanding into markets in Southeast Asia and eastern Europe that they think will be easier to crack. There are sure to be many more embarrassing failures as the Chinese internet titans attempt to emerge from their sterile, state-protected box.